Phosphate is a coating that is often used on steel parts in order to provide corrosion protection, lubricity, or as a pretreatment for further coatings such as paint or powder coating. Typically, once a part has been phosphated, a further coating of oil is applied which will further increase the corrosion protection of the part. The finish provided by the phosphate coating will be gray to black in appearance. TT-C-490D - Also known as a "light" phosphate coating is used as a pretreatment for coatings such as CARC painting. DOD-P-16232-F - This is known as a "heavy" phosphate which is used for corrosion protection, anti-galling, and for bonding of further paint applications. Class 1: Supplementary preservative treatment or coating, as specified. Class 2: Supplementary treatment with preservative conforming to MIL-PRF-16173, Grade 3 or MIL-PRF-3150. 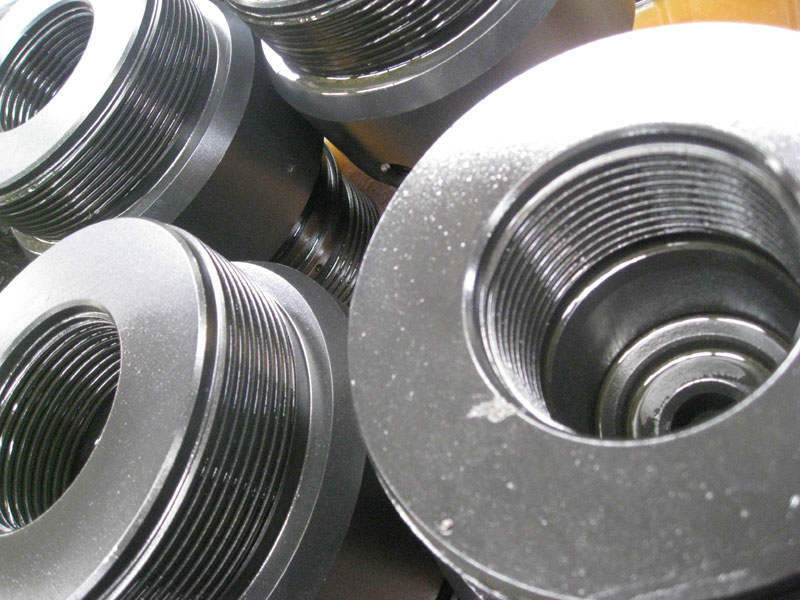 Base Materials that phosphate can be applied to are medium and low alloy steels for gray and black phosphate coatings.